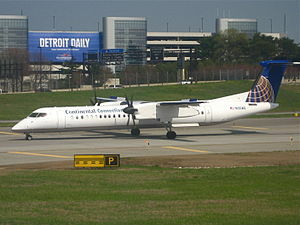 Colgan Air Flight 3407, marketed as Continental Connection under a codeshare agreement with Continental Airlines, was a scheduled passenger flight from Newark, New Jersey, to Buffalo, New York, which crashed on February 12, 2009. The aircraft, a Bombardier Dash-8 Q400, entered an aerodynamic stall from which it did not recover and crashed into a house in Clarence Center, New York at 10:17 p.m. EST (03:17 UTC), killing all 49 passengers and crew on board, as well as one person inside the house. The National Transportation Safety Board conducted the accident investigation and published a final report on February 2, 2010, which found the probable cause to be the pilots' inappropriate response to the stall warnings. As of 2019, Flight 3407 is the most recent aviation incident resulting in mass casualties involving a U.S.-based airline. Families of the accident victims lobbied the U.S. Congress to enact more stringent regulations for regional carriers, and to improve the scrutiny of safe operating procedures and the working conditions of pilots. Although it did nothing to address the specific causes of the crash – improper stall recovery technique and pilot fatigue – the Airline Safety and Federal Aviation Administrative Extension Act of 2010 (Public Law 111-216) required some of these regulation changes. A map showing the locations of the Newark Liberty International Airport (EWR); Buffalo Niagara International Airport (BUF); and Clarence Center, the location of the crash site. Colgan Air Flight 3407 (9L/CJC 3407) was marketed as Continental Connection Flight 3407. 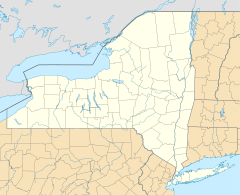 It was delayed two hours, departing at 9:18 p.m. Eastern Standard Time (EST; 02:18 UTC), en route from Newark Liberty International Airport to Buffalo Niagara International Airport. 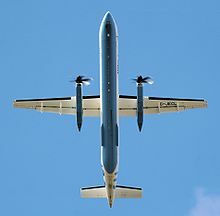 The twin-engine turboprop Bombardier Dash 8 Q400, FAA registry N200WQ, was manufactured in 2008 for Colgan. This was the first fatal accident for a Colgan Air passenger flight since the company was founded in 1991. One previous ferry flight (no passengers) crashed offshore of Massachusetts in August 2003, killing both of the crew on board. The only prior accident involving a Colgan Air passenger flight occurred at LaGuardia Airport, when another plane collided with the Colgan aircraft while taxiing, resulting in minor injuries to a flight attendant. Captain Marvin Renslow, 47, of Lutz, Florida, was the pilot in command, and Rebecca Lynne Shaw, 24, of Maple Valley, Washington, served as the first officer. There were two flight attendants: Matilda Quintero and Donna Prisco. Captain Renslow was hired in September 2005 and had accumulated 3,379 total flight hours, with 111 hours as captain on the Q400. First Officer Shaw was hired in January 2008, and had 2,244 hours, 774 of them in turbine aircraft including the Q400. There were two Canadian passengers, one Chinese passenger, and one Israeli passenger on board. The remaining 41 passengers, as well as the crew members, were American. Crash site of Flight 3407, showing the vertical empennage near a house. FAA ILS/LOC approach plate to runway 23 at Buffalo Niagara International Airport (KBUF). 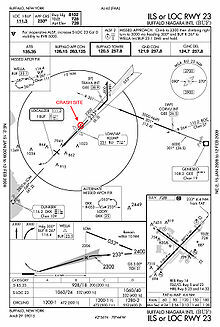 The flight crashed (marked in red) near the locator outer marker (LOM) (identifier: "KLUMP") about five nautical miles from the threshold of Rwy 23. Shortly after the flight was cleared for the runway 23 instrument landing system approach to Buffalo Niagara International Airport, it disappeared from radar. The weather consisted of light snow and fog with wind of 15 knots (28 km/h; 17 mph). The de-icing system had been turned on 11 minutes after takeoff. Shortly before the crash, the pilots discussed significant ice buildup on the aircraft's wings and windshield. Two other aircraft reported icing conditions around the time of the crash. The last radio transmission from the flight occurred when the first officer acknowledged a routine instruction to change to tower frequency. The plane was 3.0 miles (4.8 km) northeast of the radio beacon KLUMP (see diagram) at that time. The crash occurred 41 seconds after that last transmission. Since ATC approach control was unable to get any further response from the flight, the assistance of Delta Air Lines Flight 1998 and US Airways Flight 1452 was requested. Neither was able to spot the missing plane. Following the clearance for final approach, landing gear and flaps (5 degrees) were extended. The flight data recorder (FDR) indicated the airspeed had slowed to 145 knots (269 km/h). The captain then called for the flaps to be increased to 15 degrees. The airspeed continued to slow to 135 knots (250 km/h). Six seconds later, the aircraft's stick shaker activated, warning of an impending stall as the speed continued to slow to 131 knots (243 km/h). The captain responded by abruptly pulling back on the control column, followed by increasing thrust to 75% power, instead of lowering the nose and applying full power, which was the proper stall recovery technique. That improper action pitched the nose up even further, increasing both the g-load and the stall speed. The stick pusher activated ("The Q400 stick pusher applies an airplane-nose-down control column input to decrease the wing angle-of-attack [AOA] after an aerodynamic stall"), but the captain overrode the stick pusher and continued pulling back on the control column. The first officer retracted the flaps without consulting the captain, making recovery even more difficult. In its final moments, the aircraft pitched up 31 degrees, then pitched down 25 degrees, then rolled left 46 degrees and snapped back to the right at 105 degrees. Occupants aboard experienced g-forces estimated at nearly 2 G's. The crew made no emergency declaration as they rapidly lost altitude and crashed into a private home at 6038 Long Street, about 5 miles (8.0 km) from the end of the runway, with the nose pointed away from the airport. The aircraft burst into flames as the fuel tanks ruptured on impact, destroying the house of Douglas and Karen Wielinski, and most of the plane. Douglas was killed; his wife Karen and their daughter Jill managed to escape with minor injuries. There was very little damage to surrounding homes, even though the lots in that area are only 60 feet (18.3 meters) wide. The home was close to the Clarence Center Fire Company, so emergency personnel were able to respond quickly. Two of the firefighters were injured. Twelve nearby houses were evacuated. Alison Des Forges, a human rights investigator and an expert on the Rwandan genocide. 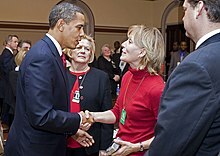 Beverly Eckert, who became co-chair of the 9/11 Family Steering Committee and a leader of Voices of September 11 after her husband Sean Rooney was killed in the September 11 attacks. She was en route to Buffalo to celebrate her husband's 58th birthday and award a scholarship in his memory at Canisius High School. Gerry Niewood and Coleman Mellett, jazz musicians who were en route to a concert with Chuck Mangione and the Buffalo Philharmonic Orchestra. Susan Wehle, the first American female Jewish Renewal cantor. Colgan Air set up a telephone number for families and friends of those affected to call on February 13, and a family assistance center was opened at the Cheektowaga Senior Center in Cheektowaga CDP, Town of Cheektowaga, New York. The American Red Cross also opened reception centers in Buffalo and Newark where family members could receive support from mental health and spiritual care workers. During the afternoon, the U.S. House of Representatives held a moment of silence for the victims and their families. Buffalo's professional ice hockey team, the Buffalo Sabres, held a moment of silence prior to their scheduled game the next night against the San Jose Sharks. The University at Buffalo (UB), which lost 11 passengers who were former employees, faculty or alumni, and 12 who were family members of faculty, employees, students or alumni in the crash, also held a remembrance service on February 17, 2009. A band with the flight number was worn on UB players' uniforms for the remainder of the basketball season. Buffalo State College's 11th President Muriel Howard released a statement regarding the six alumni lost on Flight 3407. Beverly Eckert was a 1975 graduate from Buffalo State. On March 4, 2009, New York Governor David Paterson proposed the creation of a scholarship fund to benefit children and financial dependents of the 50 crash victims. The Flight 3407 Memorial Scholarship would cover costs for up to four years of undergraduate study at a SUNY or CUNY school, or a private college or university in New York State. The accident was the basis for a PBS Frontline episode on the regional airline industry. Discussed in the episode were issues relating to regional airline regulation, training requirements, safety, and working conditions. Also discussed were the operating principles of regional airlines and the agreements between regional airlines and major airlines. This 3-D animated reconstruction shows the last 2 minutes of the February 12, 2009, accident involving a Bombardier DHC-8-400, N200WQ, operated by Colgan Air, Inc., which crashed about 5 nautical miles northeast of Buffalo-Niagara International Airport, Buffalo, New York, while on an instrument landing system approach to runway 23. The U.S. National Transportation Safety Board (NTSB) began their inquiry on February 13, with a team of 14 investigators. Both the flight data recorder (FDR) and the cockpit voice recorder (CVR) were recovered and analyzed in Washington, D.C.
Data extracted from the FDR revealed the aircraft went through severe pitch and roll oscillations shortly after the extension of flaps and landing gear, which was followed by the activation of the "stick shaker" stall warning system. The aircraft fell 800 feet (240 m) and then crashed on a northeast heading, opposite of the approach heading to the airport. Occupants experienced estimated accelerations of up to 2 g prior to impact. Freezing temperatures made it difficult to access crash debris. Portable heaters were used to melt ice left in the wake of the firefighting efforts. Human remains were carefully removed, and then finally identified, over a period of several weeks. The cockpit had sustained the greatest impact force, while the main cabin was mostly destroyed by the ensuing fire. Passengers in the rear section were still strapped in their seats. The autopilot was in control until it automatically disconnected when the stall warning stick shaker activated. The NTSB found no evidence of severe icing conditions, which would have required the pilots to fly manually. Colgan recommended its pilots to fly manually in icing conditions, and required them to do so in severe icing conditions. In December 2008, the NTSB issued a safety bulletin about the danger of keeping the autopilot engaged during icing conditions. Flying the plane manually was essential to ensure pilots would be able to detect changes in the handling characteristics of the airplane, which are a warning sign of ice accumulation. After the captain reacted inappropriately to the stick shaker stall warning, the stick pusher activated. As designed, it pushed the nose down when it sensed a stall was imminent, but the captain again reacted improperly and overrode that additional safety device by pulling back again on the control column, causing the plane to stall and crash. Bill Voss, president of Flight Safety Foundation, told USA Today that it sounded like the plane was in "a deep stall situation". On May 11, 2009, information was released about Captain Renslow's training record. According to an article in The Wall Street Journal, before joining Colgan he had failed three "check rides", including some at Gulfstream International's training program, and "people close to the investigation" suggested that he might not have been adequately trained to respond to the emergency that led to the airplane's fatal descent. Investigators examined possible crew fatigue. The captain appeared to have been at Newark airport overnight, prior to the day of the 9:18 pm departure of the accident flight. The first officer commuted from Seattle to Newark on an overnight flight. These findings during the investigation led the FAA to issue a "Call to Action" for improvements in the practices of regional carriers. Another press report said that the pilot had failed five prior tests, and also alleged "flirtatious" conversation in the cockpit between the pilot and the much-younger First Officer. In response to questioning from the NTSB, Colgan Air officials acknowledged both pilots apparently were not paying close attention to the aircraft's instruments and did not properly follow the airline's procedures for handling an impending stall. "I believe Capt. Renslow did have intentions of landing safely at Buffalo, as well as first officer Shaw, but obviously in those last few moments ... the flight instruments were not being monitored, and that's an indication of a lack of situational awareness," said John Barrett, Colgan's director of flight standards. The official transcript of the crew's communication, obtained from the CVR, as well as an animated depiction of the crash, constructed using data from the FDR, were made available to the public on May 12, 2009. Some of the crew's communication violated federal rules banning nonessential conversation. On June 3, 2009, The New York Times published an article detailing complaints about Colgan's operations from an FAA inspector who observed test flights in January 2008. As in a previous FAA incident handling other inspectors' complaints, the Colgan inspector's complaints were deferred and the inspector was demoted. The incident is under investigation by the Office of Special Counsel, the agency responsible for U.S. Government federal whistle-blower complaints. On February 2, 2010, the NTSB issued its final report, describing the details of its investigation that led to 46 specific conclusions. The current air carrier approach-to-stall training did not fully prepare the flight crew for an unexpected stall in the Q400 and did not address the actions that are needed to recover from a fully developed stall. The FAA has proposed or implemented several rule changes as a result of the Flight 3407 accident, in areas ranging from pilot fatigue to Airline Transport Pilot Certificate (ATP) qualifications of up to 1500 hours of flight experience prior to hiring. One of the most significant changes has already taken effect, changing the way examiners grade checkrides in flight simulators during stalls. Investigators also scrutinized the Practical Test Standards (PTS) for ATP certification, which allowed for an altitude loss of no more than 100 feet (30 m) in a simulated stall. The NTSB theorized that due to this low tolerance in a tested simulation environment, pilots may have come to fear loss of altitude in a stall and thus focused primarily on preventing such a loss, even to the detriment of recovering from the stall itself. New standards subsequently issued by the FAA eliminate any specific altitude loss stipulation, calling instead for "minimal loss of elevation" in a stall. One examiner has told an aviation magazine that he is not allowed to fail any applicant for losing altitude in a simulated stall, so long as the pilot is able to regain the original altitude. This is not unusual since the standard recovery procedures for recovering from a stall involve trading some altitude for speed, and this is why it is considered much more important to not stall in the first place at low altitude. On February 12, 2019 (the 10th anniversary of the crash), a remembrance ceremony started. The Cineflix/National Geographic series Mayday featured the incident in the fourth episode of Season 10, titled Dead Tired. ^ Update on NTSB investigation into crash of Colgan Air Dash-8 near Buffalo, New York NTSB advisory, March 25, 2009 "The data indicate a likely separation of the airflow over the wing and ensuing roll two seconds after the stick shaker activated while the aircraft was slowing through 125 knots and while at a flight load of 1.42 Gs. The predicted stall speed at a load factor of 1 G would be about 105 knots." Note: The predicted stall speed for this aircraft at a flight load of 1.42 Gs would be about 125 kts which is arrived at by multiplying 105 kts (the predicted stall speed at 1 G) by 1.19164 (the square root of the flight load in Gs). ^ a b c d e f g h "Accident report – Loss of control on approach Colgan Air, Inc. operating as Continental Connection Flight 3407 Bombardier DHC-8-400, N200WQ Clarence Center" (PDF). National Transportation Safety Board. February 12, 2009. Retrieved November 10, 2015. ^ "'We Shouldn't Stop Flying.' What to Make of the Southwest Plane Accident That Shattered a Remarkable U.S. Safety Record". Fortune. April 18, 2018. ^ "Airline Safety and Federal Aviation Administration Extension Act of 2010". LegiScan. Retrieved October 26, 2014. ^ "FAA Registry: N-Number Inquiry Results". Federal Aviation Administration. Retrieved November 10, 2015. ^ Babineck, Mark; Hensel, Bill Jr. (February 13, 2009). "Records show Colgan flights had been fatality free". Houston Chronicle. Retrieved February 13, 2009. ^ "Co-pilot of crashed plane was from Wash". KATU. February 13, 2009. Archived from the original on February 17, 2009. Retrieved February 13, 2009. ^ "Tahoma High grad Rebecca Shaw dies in Continental 3407 crash". Pacific Northwest Local News. February 14, 2009. ^ "Maple Valley woman co-pilot in plane crash: Rebecca Shaw, 24, worked hard to join ranks of airlines". SeattlePI.com. February 13, 2009. ^ "Frequently Asked Questions – Colgan Air Flight 3407" (PDF). Archived from the original (PDF) on March 4, 2009. Retrieved February 26, 2009. ^ a b c d "Victims of the crash of Flight 3407". Buffalo News. February 18, 2009. Archived from the original on February 18, 2009. ^ "Commuter plane crashes into New York home". CBS News. February 12, 2009. Retrieved February 12, 2009. ^ a b c "Search for answers begins in Buffalo plane crash". CNN. February 13, 2009. Retrieved February 13, 2009. ^ "Obama extends sympathies to crash victims". UPI. February 12, 2009. Retrieved February 12, 2009. ^ All calm moments before plane crashes (February 13, 2009). CBS News. Retrieved February 13, 2009. ^ a b Dale Anderson and Phil Fairbanks (February 12, 2009). "Federal investigators begin searching for the cause of Clarence Center crash". The Buffalo News. ^ a b Precious Yutangco (February 13, 2009). "49 killed after plane crashes into home near Buffalo". Toronto: Toronto Star. ^ "Transcript of CVR recording" (PDF). ^ a b c d "NTSB: Crew reported ice buildup before crash". MSNBC. February 12, 2009. Retrieved February 14, 2009. ^ "NTSB: Colgan 3407 pitched up despite anti-stall push". Flight Global. February 15, 2009. Archived from the original on May 24, 2013. Retrieved February 16, 2009. ^ George, Eli (February 26, 2014). "Flight 3407 crash site to become town property". wivb.com. WIVB-TV. Retrieved March 29, 2014. ^ Carey, Elizabeth (February 13, 2009). "Buffalo area plane crash claims 50 lives". The Business Review. Retrieved February 13, 2009. ^ "Mom, daughter escape after plane crashes into home". cnn.com. February 13, 2009. Retrieved February 13, 2009. ^ a b c "NTSB: Plane didn't dive, landed flat on house". MSNBC. February 14, 2009. Retrieved February 14, 2009. ^ "50 killed as US plane crashes into house". Dawn. February 14, 2009. Archived from the original on February 19, 2009. ^ "Fiery plane crash in upstate N.Y. kills 50". NPR. February 13, 2009. ^ Dolmetsch, Chris; Miller, Hugo (February 13, 2009). "Continental flight crashes near Buffalo, killing 50" (Update3 ed.). Bloomberg. Retrieved November 10, 2015. ^ Tapper, Jake; Travers, Karen (February 13, 2009). "President Obama mentions plane crash, and victim Beverly Eckert". Retrieved February 13, 2009. ^ Newberg, Rich (February 19, 2009). "Community says goodbye to Susan Wehle". WIVB. Retrieved May 27, 2013. ^ "Senior Services". Town of Cheektowaga. Archived from the original on September 26, 2006. Retrieved May 25, 2009. ^ "Cheektowaga CDP, New York". U.S. Census Bureau. Archived from the original on June 2, 2009. Retrieved May 25, 2009. ^ "Red Cross provides comfort and counseling to families of Buffalo plane crash". American Red Cross. Retrieved February 13, 2009. ^ "Local leaders react in wake of Flight 3407 crash". WCBSTV (via Archive.Org). February 13, 2009. Archived from the original on May 20, 2009. Retrieved February 13, 2009. ^ Hunter, Brian (February 14, 2009). "Sabres gut out emotional win". NHL. Retrieved February 14, 2009. ^ "11 with UB ties die in plane crash". University at Buffalo: UB Reporter. February 13, 2009. Retrieved February 18, 2009. ^ "UB remembers victims of plane crash". University at Buffalo: UB Reporter. February 18, 2009. Retrieved February 18, 2009. ^ "A Message from President Howard about the Tragedy of Flight 3407". Buffalo State College. February 19, 2009. Retrieved February 25, 2009. ^ "Paterson plans Flight 3407 scholarships". University at Buffalo: UB Reporter. March 4, 2009. Retrieved March 4, 2009. ^ Genzlinger, Neil (February 8, 2010). "Up in the air, with frayed safety nets". The New York Times. Retrieved May 20, 2015. ^ Wawrow, John (February 13, 2009). "Fiery plane crash in upstate NY kills 50". Yahoo!. Archived from the original on February 16, 2009. Retrieved February 13, 2009. ^ "Black Boxes Found From Buffalo Crash". cbsnews.com. February 13, 2009. Retrieved February 13, 2009. ^ a b "NTSB: Plane rolled violently before crash". CNN. February 15, 2009. Retrieved February 15, 2009. ^ "NTSB: Crew saw ice buildup before crash". CBS News. February 13, 2009. Retrieved February 13, 2009. ^ "Strong sense of purpose drives investigators". The Buffalo News. February 15, 2009. Retrieved February 15, 2009. ^ "Crash plane 'dropped in seconds'". BBC News. February 15, 2009. Retrieved February 16, 2009. ^ "Americas | Fatal US plane 'was on autopilot'". BBC News. February 16, 2009. Retrieved February 15, 2009. ^ "Plane that crashed near Buffalo was on autopilot". The Washington Post. February 15, 2009. Retrieved February 15, 2009. ^ Pasztor, Andy (February 15, 2009). "Flight was on autopilot; anti-ice systems apparently working". The Wall Street Journal. Retrieved February 15, 2009. ^ Wald, Matthew L. (February 18, 2009). "In recreating Flight 3407, a hint of human error". The New York Times. Retrieved February 18, 2009. ^ Alan Levin (February 15, 2009). "NTSB: Plane landed on its belly, facing away from airport". USA Today. Retrieved February 22, 2009. ^ Andy Pasztor (May 11, 2009). "Captain's training faulted in air crash that killed 50". Wall Street Journal. Retrieved June 2, 2015. (Subscription required (help)). ^ Frances Fiorino (September 25, 2009). "House hearing reviews efforts to improve safety". Aviation Week and Space Technology. (Subscription required (help)). ^ "Inquiry in New York air crash points to crew error". Los Angeles Times. May 13, 2009. ^ Matthew L. Wald (May 13, 2009). "Pilots chatted in moments before Buffalo crash". The New York Times;. Retrieved May 23, 2009. ^ a b Matthew L. Wald (June 3, 2009). "Inspector predicted problems a year before Buffalo crash". The New York Times. Retrieved June 3, 2009. ^ Freeze, Christopher. "Colgan Air Flight 3407: 10 Years Later How ALPA Charted the Flight Path to Today's Safer Skies". ALPA.org. Air Line Pilots Association. Retrieved 11 March 2019. ^ a b Goyer, Robert (July 2011). "To Push or to Pull". Flying. Bonnier Corporation. 138 (7): 8–9. Retrieved July 4, 2011. ^ "Remembering the Colgan Air Flight 3407 on 10-year anniversary". ROCHESTERFIRST. 2019-02-12. Retrieved 2019-02-12. ^ Zremski, Jerry (2019-02-11). "Flight 3407 families begin remembrance with Forest Lawn ceremony". The Buffalo News. Retrieved 2019-02-12. ^ "Dead Tired". Mayday. Season 10. 2011. Discovery Channel Canada / National Geographic Channel. A picture of the aircraft taken in late 2008. Frontline (U.S. TV series) – Flying Cheap – February 9, 2010. One year after the deadly crash of Continental 3407, FRONTLINE investigate the safety issues associated with regional airlines. This page was last edited on 17 April 2019, at 01:46 (UTC).